For some time we have been calling on Tri-Rail to do what should have been done when the service began in the late 1980s—expand to the FEC tracks. This is the railroad that runs through the downtowns of every city on Florida’s East Coast. It would be far more useful for a commuter railroad than the CSX tracks now being used. They are just a bit too far west to realize the potential of the service. Well, now it is happening, but not the way we had envisioned. Tri-Rail is planning to use the FEC line, but only in deep Dade County. 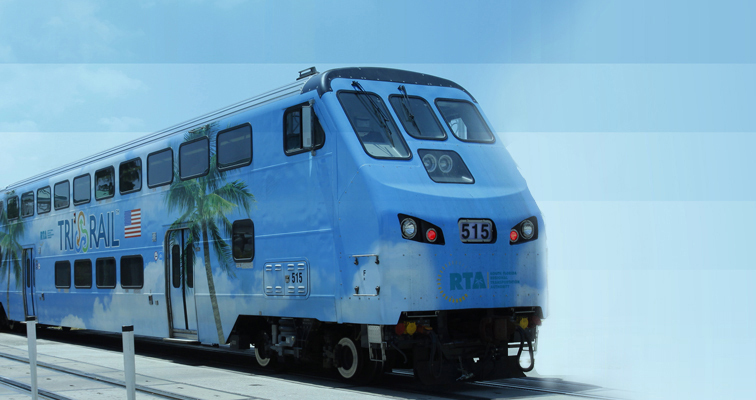 There is an existing connection between the railroads near 79th Street, and Tri-Rail wants to use it to connect to All Aboard Florida’s massive new station development in downtown Miami. This is a great improvement for Tri-Rail, which now ends near Miami International Airport. That is a useful destination, but not nearly as useful as a train that will be going into the commercial heart of Miami. That’s good news, but not as good of news as Tri-Rail’s other expansion concept would be. That idea is to run some trains on the FEC all the way from West Palm Beach to Miami, serving high traffic locations such as Boca Raton, Fort Lauderdale, Hollywood and Aventura—before terminating at the All Aboard Florida complex in downtown Miami. That idea is still on the drawing board, but that board appears less draw-able now that Tri-Rail is concentrating on the other idea. Meanwhile, All Aboard Florida’s proposed high-speed service to Orlando faces mounting opposition on the Treasure Coast. It now rivals the scandalous water situation as the hottest political issue in Martin, St. Lucie and Indian River counties. It seems All Aboard Florida has a chance to defuse that issue by partially advancing the Tri-Rail scheme to use its tracks. All Aboard Florida plans to start its Orlando service on an abbreviated route—only from West Palm to Miami—while it undertakes the bigger task of building new tracks to connect its right-of-way to Orlando at Cocoa Beach. This, temporarily, will be a high-speed commuter line for 60 miles from West Palm to Miami. It will only stop in Fort Lauderdale. Why not expand that a bit by anticipating Tri-Rail’s goal and add a station in Delray, Boca, Fort Lauderdale-Hollywood International and Aventura? They need not be expensive structures, just wooden platforms that Tri-Rail used when it began in the 1980s. This service would have undoubted appeal, and its success could lead to an additional stop to the north in Jupiter. These stations could eventually be taken over by Tri-Rail. Tri-Rail will have at last achieved the usefulness it sought when it began almost three decades ago. And All Aboard Florida will have smoothed its path to making a good idea a reality.